In this paper, a parallel solution of impedance filling was studied to improve the efficiency for the method of moments (MOM) in solving the integral equation for electromagnetic scattering. Based on the formalization method, the correctness verification method of the parallel communication protocol was proposed to avoid the abnormal situation such as deadlock caused by unsynchronized MPI message delivery. 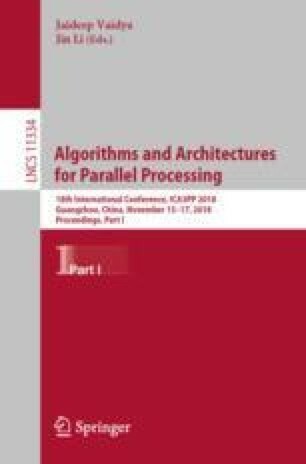 Finally, a numerical example is given to verify the accuracy of the parallel algorithm in a multi-core cluster environment, and the parallel efficiency and computational capability are also tested. From the experiment data, it can be seen that the results of the parallel-based integral equation match well with the results of the Mie analytical solution. The parallel algorithm proposed in this paper is evaluated in terms of the acceleration ratio and parallel efficiency. The experimental results demonstrate the reliability and effectiveness of the method. This work is supported in part by the project of science and technology department of Jiangxi province (No. 20161BBH80039, 20171BAB202013), the National Natural Science Foundation (No. 61462041, 61763014, 61762049),Jiangxi University humanities and social science (No. JC1507).